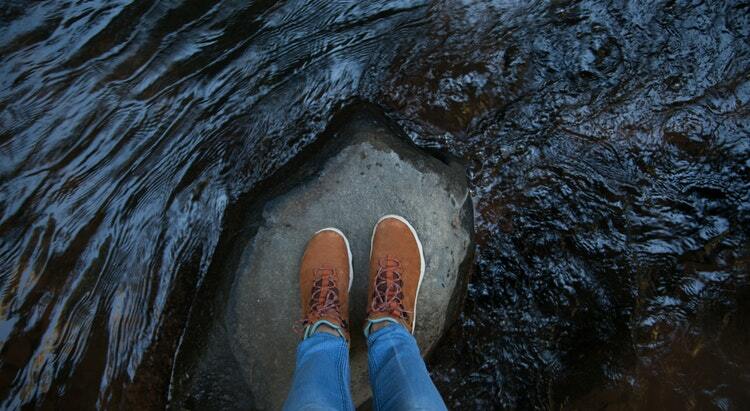 Happy feet are essential for a good time in the outdoors. From walking boots to climbing shoes, find all the outdoor footwear you need. Being vegan is not about just not eating animal products, it’s the principle of not using anything made of animals, which includes boots as well. Finding the right boots for hiking that are not made of leather is not an easy job to do, so I put together a list of some of the non-leather and vegan-friendly boots. It’s not a big list, but I’m sure you will be able to find the best vegan hiking boots just for you. All of the five choices are criticized based on the same points which makes them a better or worse choice from one to another. 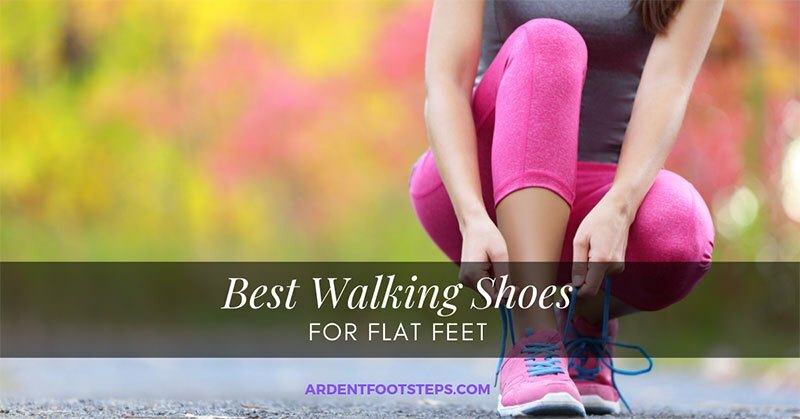 Finding the Best Walking Shoes for Flat Feet that gives comfort is the easiest and most economical way to help solve these pronation problems. Smooth footless footwear is typically equipped with various features such as motion control, spring retention, cushioning, stability, orthopedic inserts, and flexibility to help people with flat feet and to heal this malady over time. The best foot shoes align precisely with the legs and heels in a balanced position for a comfortable walking experience. Obstructive shoes can aggravate the condition of the flat feet, limiting its natural function and causing problems such as blisters, wounds, bursitis, etc. Jungle boots are becoming fashionable among men these days. This is because there are few available military boots on the market. Jungle boots are specially designed boots for the rugged jungle terrain. They can withstand wet, humid, and hot weather conditions. Hiking in the jungle with any boots other than a jungle boot will expose you to trench foot or similar diseases. This will negatively impact your advance through jungles and swamps. It would also threaten your life. Jungle boots are usually designed with vent holes in the instep area, the canvas upper portion is designed to provide drainage of moisture and ventilation. 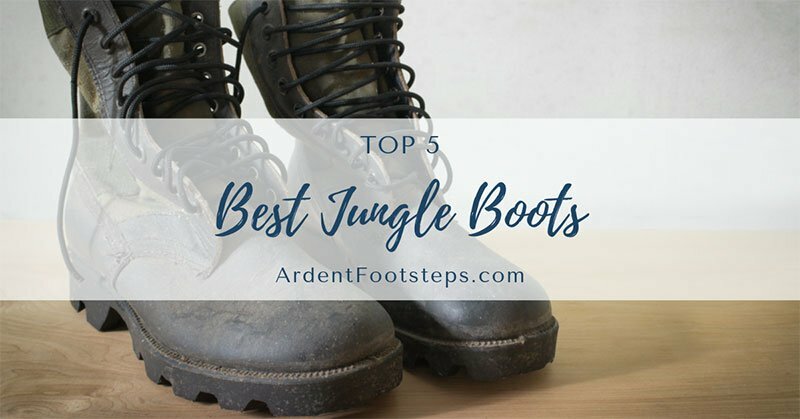 If you are looking to buy the best jungle boots on the market, read through this review to get an idea which one suits your needs. 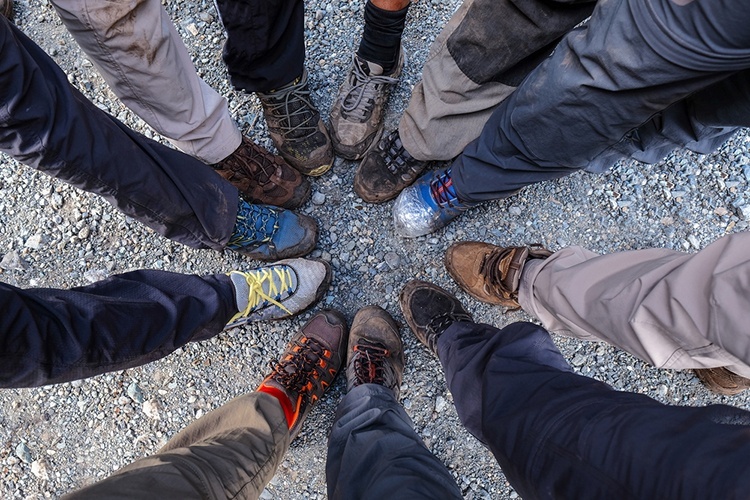 Keen VS. Merrell: What Is The Best Day Hike Shoe? When it comes to day hikes, I always prefer wearing low cut shoes over hiking boots or outdoor sandals simply because they offer both great comfort and security for my feet. Unlike hiking boots, low cut shoes are lightweight and can be quite easy to pack. They’re also much safer than outdoor sandals since they can do a better job of protecting my toes from getting stubbed. 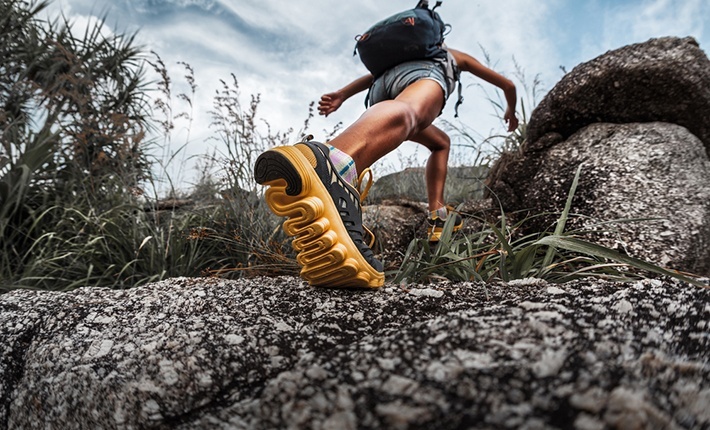 Read moreKeen VS. Merrell: What Is The Best Day Hike Shoe? Chaco VS. Teva: What Is The Best Hiking Sandal? Don’t know if you should get ​hiking boots or sandals for your next outdoor trip? If you know about boots but have no clue about outdoor sandals, you’re in the right place! 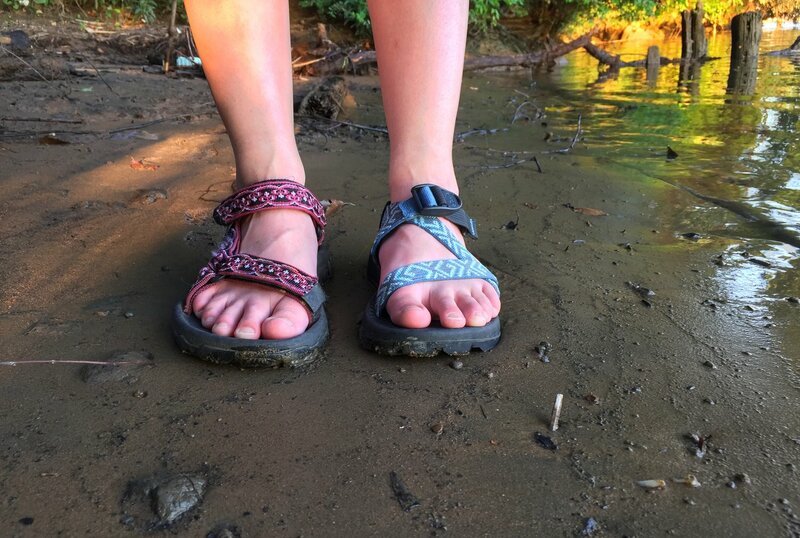 In this article, I will be doing a quick comparison between two great outdoor sandal brands: Chaco and Teva. The debate between Chavo VS. Teva has been going on for a while because of their competitive features. Read moreChaco VS. Teva: What Is The Best Hiking Sandal? How to Fix Heel Slippage in Boots – Stay Steady on the ground With These Tricks! The main purpose of boots is to protect your feet, provide you the comfort needed for long walks and to secure the much-needed stability when you’re hiking rough terrain. There are several causes for heel slippage, but they are mostly caused by some aspect of the boots. Having trouble walking is just one of the many problems that boot slippage can cause. If you had or you are having that problem right now, check these helpful tips on how to fix heel slippage in boots. Read moreHow to Fix Heel Slippage in Boots – Stay Steady on the ground With These Tricks! How to Wear a Boot Knife? – Be Safe Not Sorry! If you like to spend your time outdoors, whether it be for hunting, hiking through woods or camping with your family, you should always be prepared as there are many dangerous situations you could face which might even include having to defend yourself or your loved ones from wild animals. For all you nature lovers and outdoor enthusiasts, we have comprised a detailed guide that will inform you on all you need to know about boot knives, and most importantly how to properly wear a boot knife so that you can use it effectively and stay safe at the same time. 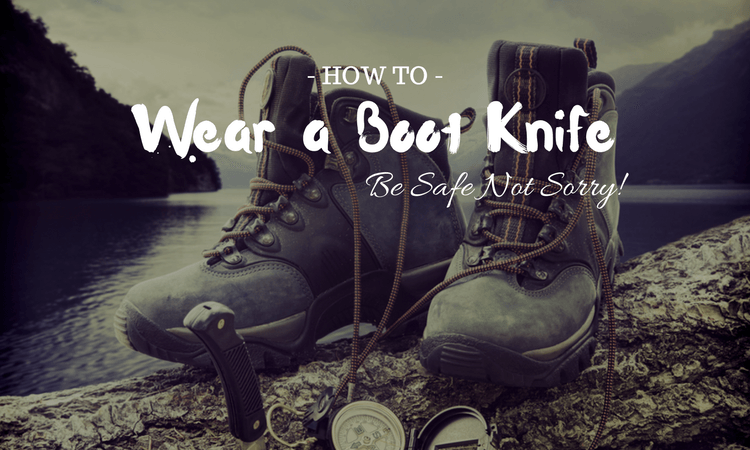 Read moreHow to Wear a Boot Knife? – Be Safe Not Sorry! I am Melanie Campbell. I’m here to give you expert advice and proven tips on how to make the most out of your adventure. "I felt my lungs inflate with the onrush of scenery. Air, mountains, tree, people. I thought: this is what it is to be happy." © 2017 - 2019 Ardent Footsteps LLC. All Rights Reserved.